Are you looking for a reliable plumber in Cloverly, MD? R.V. Carey’s has been providing plumbing and heating services to homes and businesses throughout Cloverly since 1979. We work hard to establish a positive working relationship with you through high-quality plumbing services, a professional attitude, and guaranteed workmanship, all in an effort to provide the best customer service you can find. If you’re looking for quality plumbing and heating services from friendly, licensed professionals, call R.V. Carey’s today at 301-424-8899. All of our plumbers are licensed professionals who provide you with honest and respectful support. Fully stocked trucks mean you can get same-day service—often right on the spot! 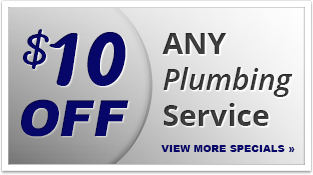 No matter what kind of plumbing services you need in Cloverly, MD, call R.V. Carey’s today at 301-424-8899! We also do commercial and residential remodeling in Cloverly! Fast and Friendly Service – When you call for a plumber, you’re looking for more than plumbing services –you want the peace of mind that comes from knowing the plumber you hired is trustworthy and polite. In addition to being background checked and drug tested, all of the technicians at R.V. Carey’s are friendly and courteous and can answer any questions you may have regarding your plumbing system. Time and Materials – Many plumbers charge a flat rate for each job, regardless of how long it takes. We prefer to charge based on time and materials—here’s why. First, no two plumbing jobs are the same. Even a seemingly simple leak repair can vastly differ from another leak repair! Since a job may take longer for one person than another, a flat fee may lead you to overpay for your service. Next, we feel we can provide a better service by encouraging our technicians to work carefully instead of rushing between jobs. By charging time and materials, we’re able to ensure that you get the highest quality of service possible while still sticking to your budget. Our service techs average over 15 years’ experience. When you call R.V. Carey’s, you’re calling the best. If you need plumbing services in Cloverly, MD, call us today at 301-424-8899 or contact us online.